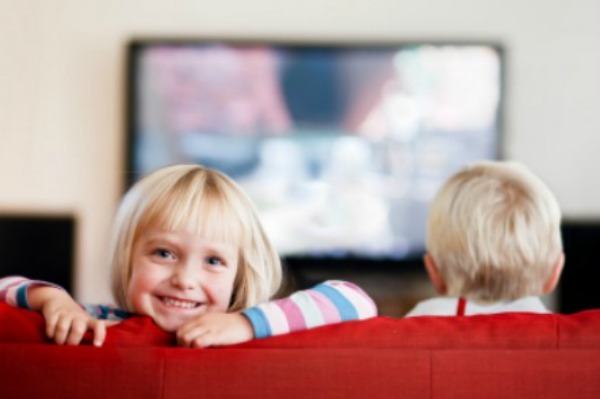 Are there life lessons for kids on reality TV, or is it something to avoid in your home? Taking a look at the good, the bad and the genre…. Reality television is an odd mix of inflated egos, bad behaviour, great talent and trash. From the mostly-inspirational Biggest Loser to the celebration of conspicuous consumption on Keeping Up with the Kardashians to the talent shows — American Idol, So You Think You Can Dance and The Voice — the genre provides enough variety to keep us glued to our sets. But is reality TV appropriate for children to watch? Reality television is a pop-culture phenomenon intriguing millions, even as we don’t quite understand why people would let cameras and the world intrude into their lives and private spaces to expose how they live and behave. The reality check on the “why” should be obvious: It makes them rich and famous. Yet we often see oafish behaviour and a focus on shallow values as more emphasis is placed on appearances than substance. Is this a life lesson children can learn from? Not all reality shows are harmful to a kid’s view of the world. Some expose them to lives utterly unlike their own and engage them with new ideas they’ve never considered. On Dirty Jobs, affable and easy-going host Mike Rowe mucks his way through jobs no career counsellor would ever recommend. Watching Mike clean out a sewer is nasty and humorous and teaches kids a lesson about the hard work some people have to do to make our everyday lives possible. Discovery Channel’s Man vs Wild has an underlying theme of how to survive in the wilderness. Good to know — especially when you can watch from the safety of your own living room. It’s got enough nasty elements (eating live bugs, for instance) to please kids, and the host is engaging and hunky enough to keep mom’s attention, too. Your kids watch So You Think You Can Dance? Then it’s a good bet you’ll see more dance routines around your kitchen floor. And while these performances won’t warrant a thumbs-up from the actual judges, seeing children transported and creatively inspired is not such a bad thing. There’s a reason shows like Dancing with the Stars and American Idol are such rating winners for their networks. Some reality shows are the most family-friendly programs aired on television these days. Should children watch Jersey Shore, Kim and Khloe Take New York, or Toddlers in Tiaras? Maybe not. But curling up on the couch together to watch other reality shows can be entertaining for both the children and the adults. You just have to remember that, like all other types of television entertainment, choices in the reality-show genre should be monitored by the parents first. It’s up to you to decide which ones make appropriate viewing for your own children.